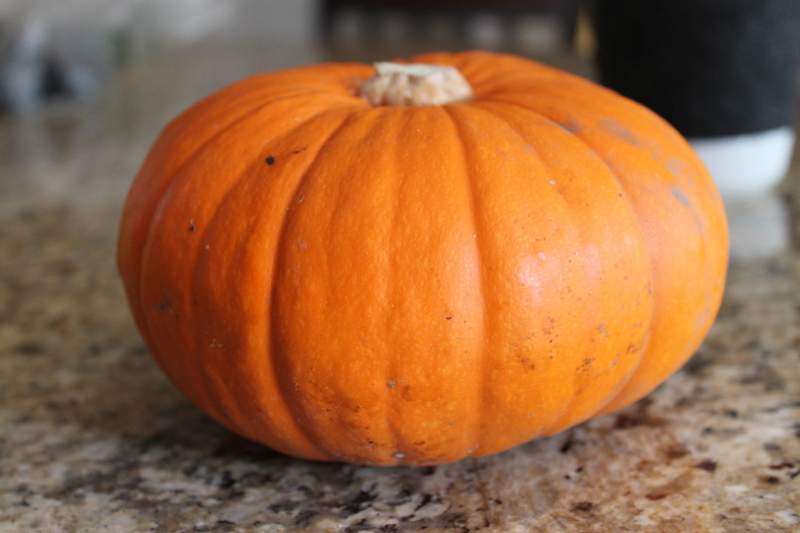 This pumpkin is destined for great things. 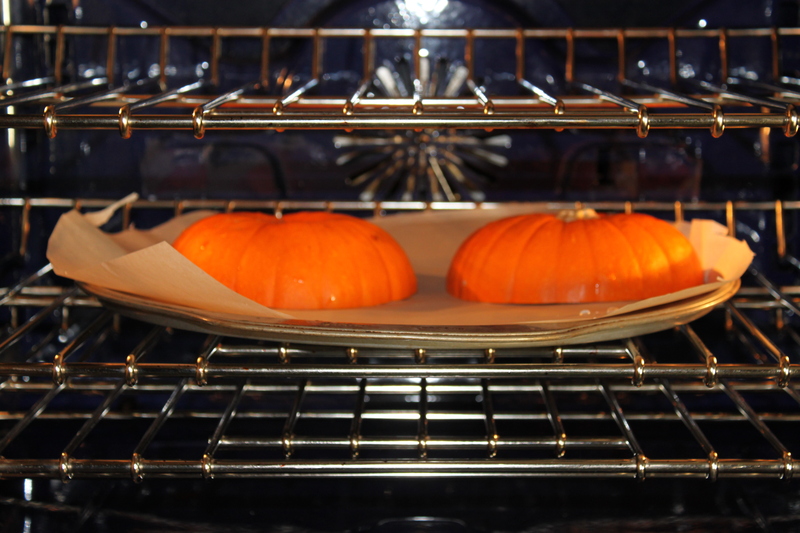 Let the pumpkin hang out in a 350F oven for 60 to 90 minutes. Basically until the innards are mushy. 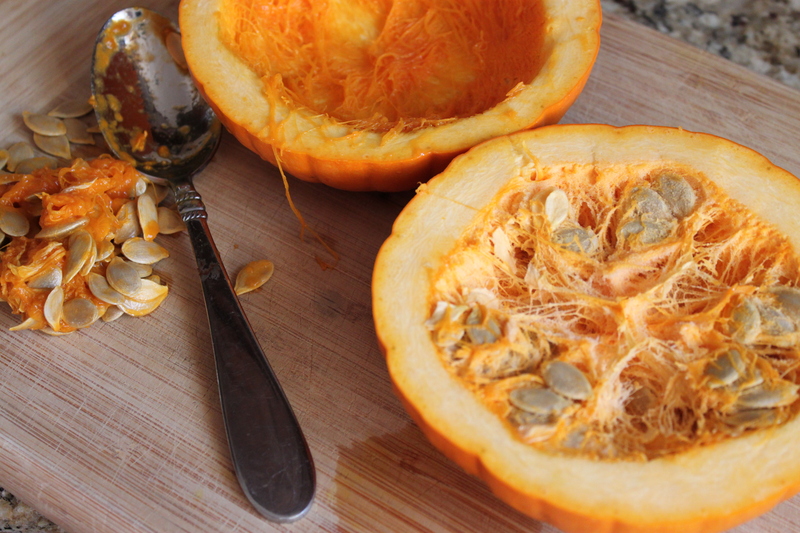 Scoop out the innards into a pot. 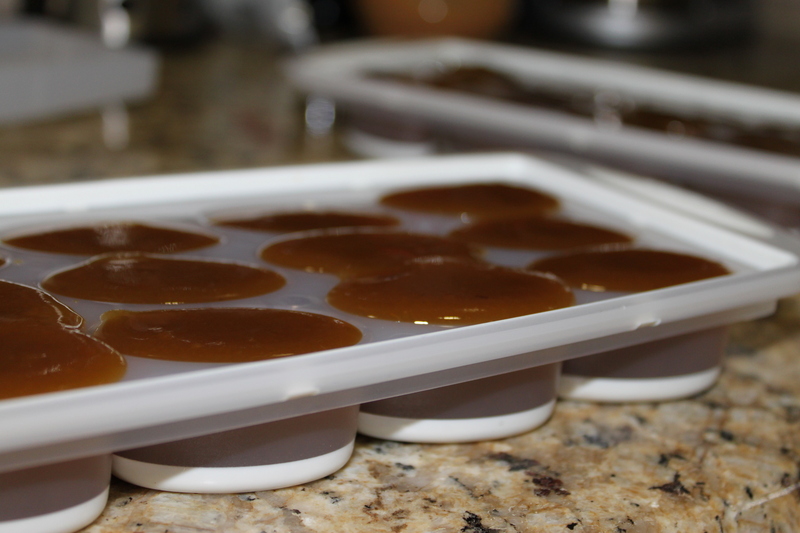 Add fresh ginger (2-2″pcs). Add cinnamon sticks (3). Add nutmeg (1/2 tsp). Add brown sugar (you decide how much). Add water. Simmer. 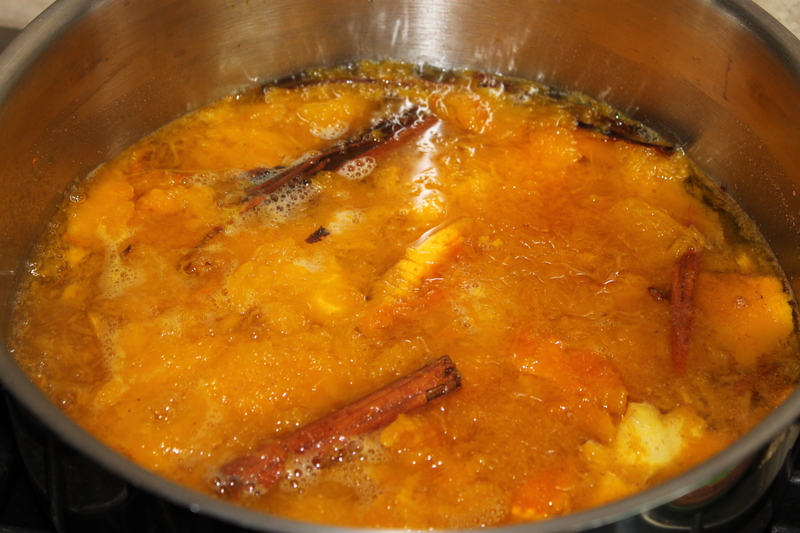 Mash the contents through a sieve (don’t waste any pumpkin; throw away the cinnamon sticks and ginger). Freeze in your favourite ice cube tray. Defrost. Add milk. Add coffee. That’s how we do PSLs around here.